We are the Lincolnaire Chorus based in Lincoln, NE. We are a group of women who sing 4 part barbershop harmony. We are members of Sweet Adelines International. 2010 2nd place small chorus, Region 7. A Sweet Adelines chorus is a musical asset to its community. 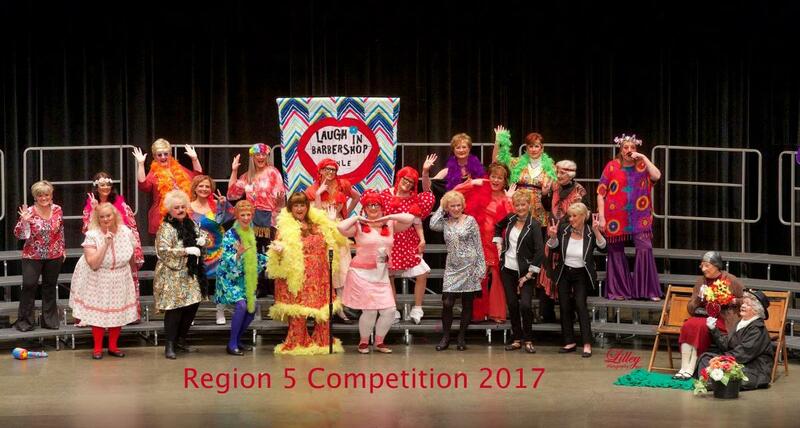 With more than 500 Sweet Adelines chapters located throughout the U.S. and 14 other nations, Sweet Adelines are not the only ones being changed by this organization -- their communities are as well. Choruses regularly entertain at charitable functions and civic events, and they often share performance proceeds with scholarship funds, social services programs, and arts and humanities outreaches. Support the Lincolnaire Chorus through the AmazonSmile program. Click this link to be taken to our Amazon Smile page where every purchase you make helps to support our chorus! The organization supports The Young Singers Foundation whose purpose is to enrich the lives of young people by supporting vocal music programs and education through its grant program.